December 22, 1944, north of the Elsenborn Ridge. As the last rounds of the softening-up barrage whooshed overhead and exploded on the forested hill, the young lieutenant glanced at his watch and raised his arm. At the signal, the platoons left their positions. On both sides of a snow-covered trail, dozens of figures clad in long dark overcoats ran forward toward the base of the hill. The mission of the I.Battalion of Panzergrenadier-Regiment 29 was to seize a wooded knoll north of Camp Elsenborn where the view extended for miles into American territory. Grenadier-Regiment 29 had arrived two days earlier with the bulk the 3.Panzergrenadier Division and now supported the badly mauled 277.Volksgrenadier-Division in an attempt to seize the high ground. Atop the wooded knoll, men of the Second Battalion, 39th Infantry Regiment had arrived the day before and had dug all night to hastily prepare fighting positions. After the German barrage lifted, a weighty silence descended on the hill. Shattered trees silhouetted in the morning fog added to the surreal scene. Guttural orders and whistles suddenly broke the silence as the first assault wave rolled forward. When the Germans emerged from the fog, loud barks from M1 rifles began to echo all along the defensive line. 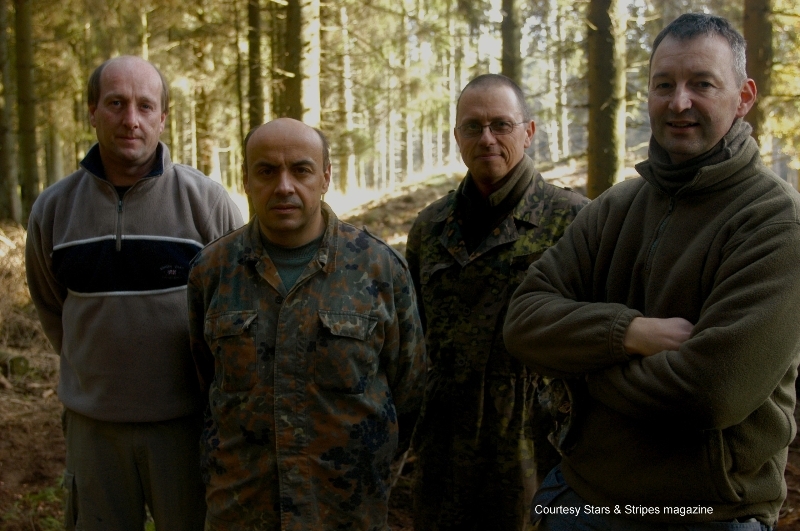 Forward observers shouted for fire missions over their sound-powered telephones. Within seconds, American artillery shells crashed among the Germans, tearing men and trees apart. In some instances, Germans reached American dugouts, and the battle turned into wild killing with grenades and shovels. The American line was about to crack, but the artillery finally drove the Germans back. As the 39th Infantry moved downhill to restore the line, they found themselves exposed to the devastation of war. Dismembered men and body parts lay strewn everywhere as if a giant scythe had mowed soldiers and trees into a reddish mixture. In a shell crater, two grenadiers had seen their lives abruptly ended by the flying, white-hot steel. The dead men were thirty-six year old Hubert Redecker, from Deilingdorf and Wilhelm Schlömann, thirty-one, from Eickel. Both men were part of the 3rd Company of Grenadier-Regiment 29. Later in the afternoon, it began to snow, as if some deity was trying to hide the carnage. Redecker and Schlömann soon disappeared under a white mantel. Over the month to come, Americans and Germans fought for possession of the wooded hill. 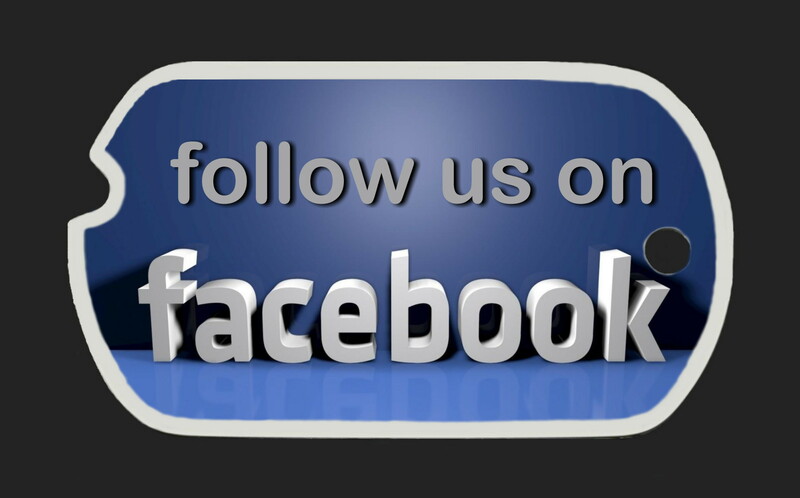 Each took it and lost it several times with heavy losses. The first postwar photos of the hill appeared in a little booklet published by a local hiking club in 1950. Decapitated trees stood as silent reminders of a brutal past. Human bones could also be seen here and there. 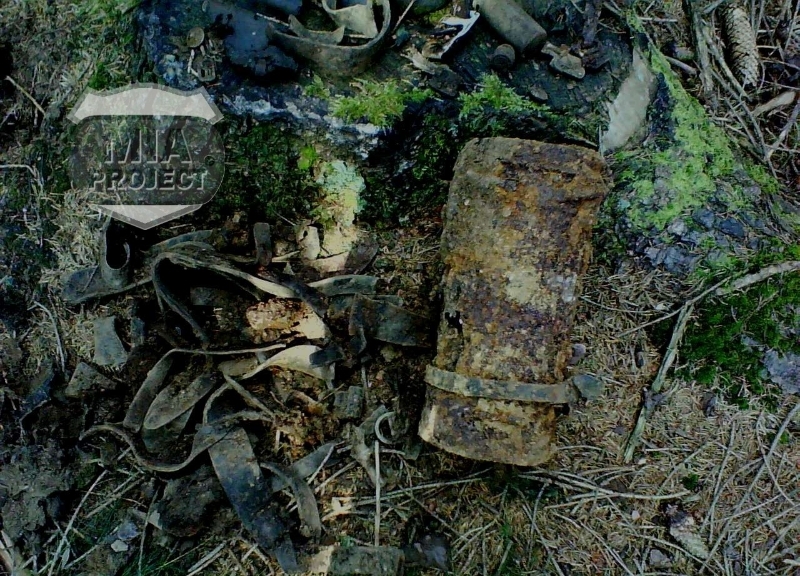 Only established trails were safe due to the large volume of unexploded ordnance. Outside of the trails, the forest was off limits, and large signs with death heads reminded visitors of the danger. 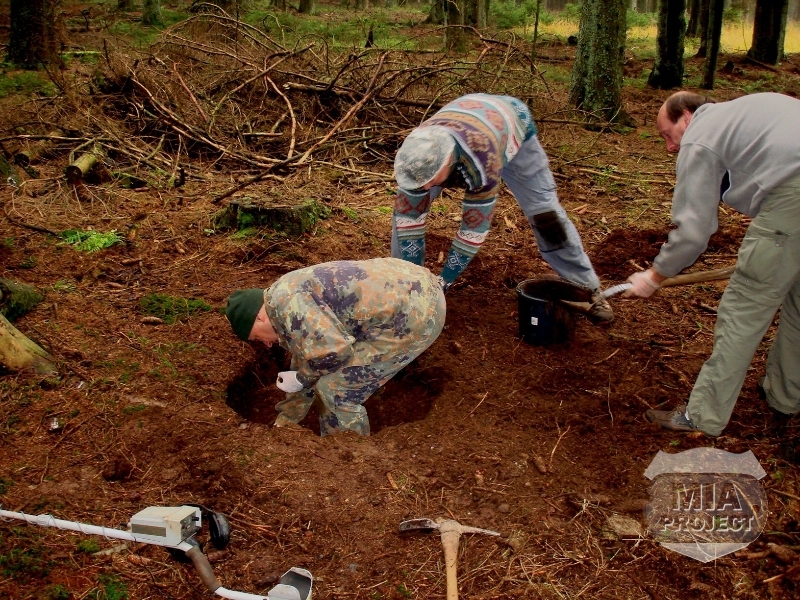 It was commonplace at the time for lumberjacks and forest rangers to recover human bones lying on the ground. 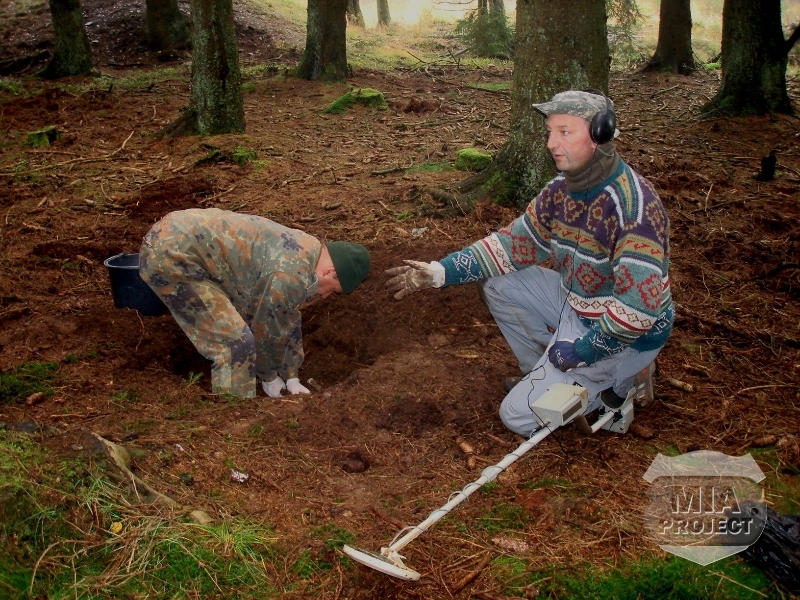 In such cases, the bones found their way into an improvised ossuary at the base of the hill. The repository grew so large over the years that it was eventually moved to the communal grave at the Krinkelt cemetery. 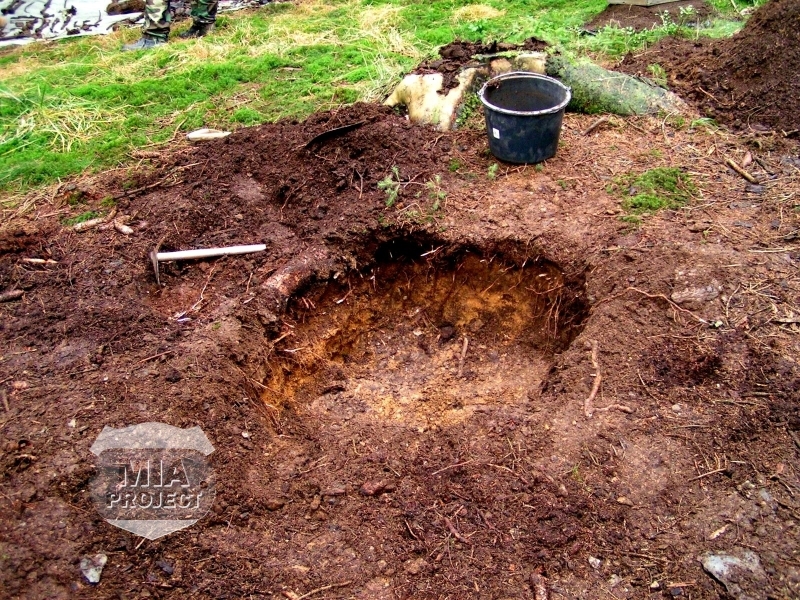 The MIA Project members searched the hill for the first time in the early 1980s and discovered the site almost untouched since the war. Half buried equipment still rested on the ground, and there were obvious signs of close combat. 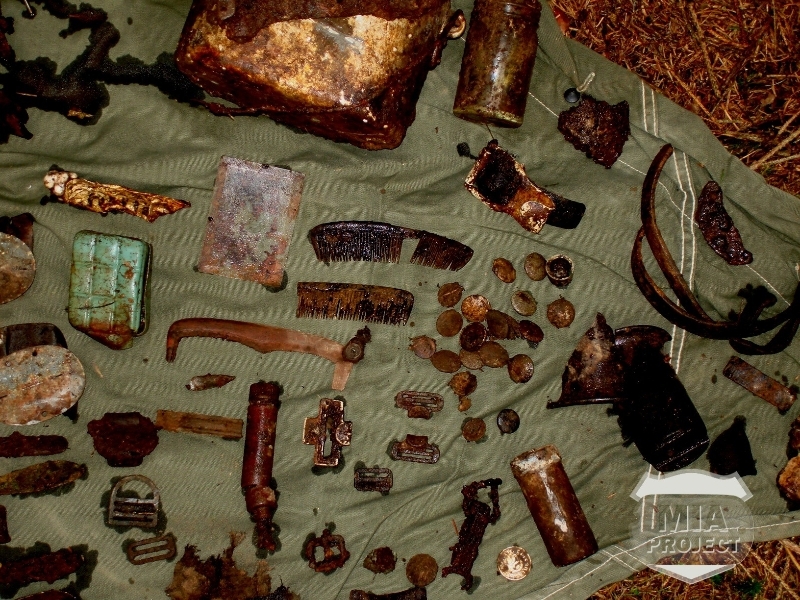 American and German spent cartridges were side by side. 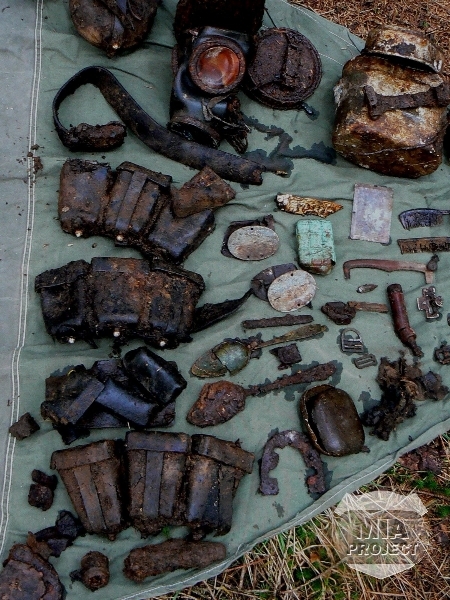 Rifles and pistols of both sides lay a few feet apart, and field gear littered the entire hill. But no human bones were visible. 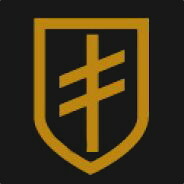 As the MIA Project developed and became successful, the search extended to sister units of the 99th Division, and this included the 39th Infantry. The unit had one man still missing, Warren Ridgeway. He was reported missing in January during a combat patrol. Unfortunately information on his case was too fragmentary to undertake a meaningful search. 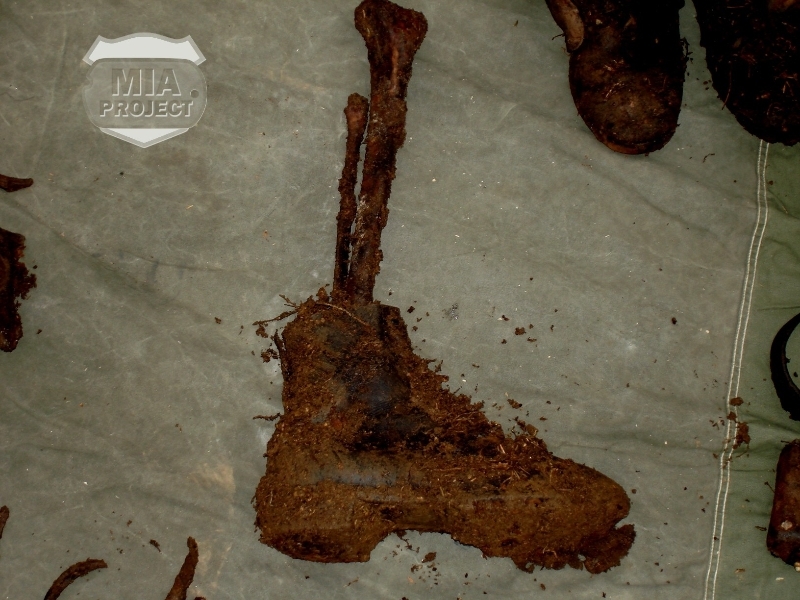 In early 2008, human remains once again surfaced. 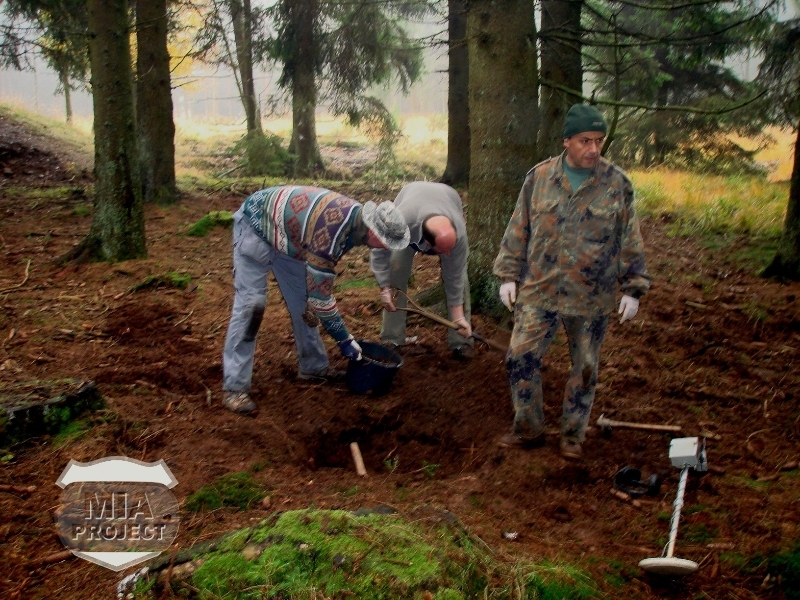 A hiker discovered a large human skull fragment on the south slope of the hill and notified Forest Ranger Hönen. He, in turn, contacted Seel and Speder, and they journeyed to the site. Nothing more was recovered that day, but Ridgeway was on everybody’s mind. In the autumn of 2008, Bill Warnock visited Seel and Speder to review a number of MIA cases under investigation, including Ridgeway’s. With original maps and aerial photographs in hand, the trio hiked the hill double-checking details. 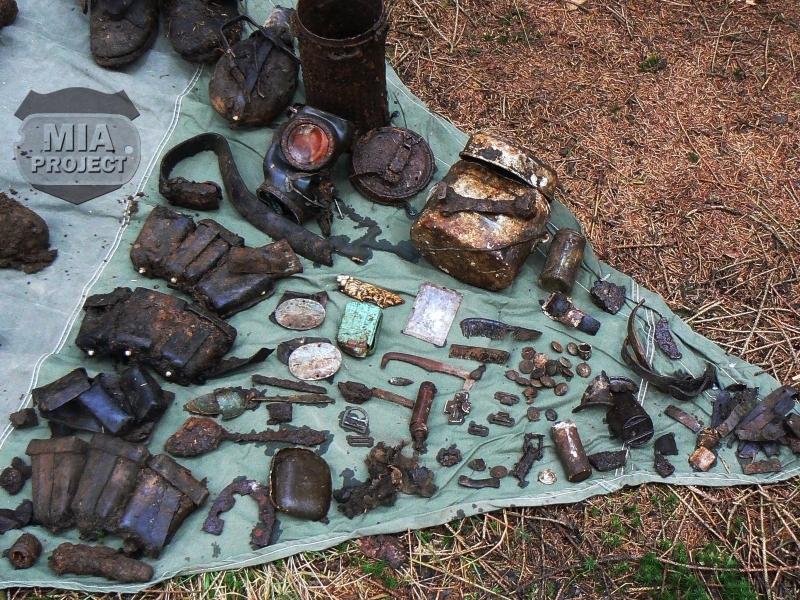 On the way back to the car, Seel located a small area that seemed untouched and where his detector located several large targets, including a German ammunition box full of machine-gun rounds in near perfect condition. 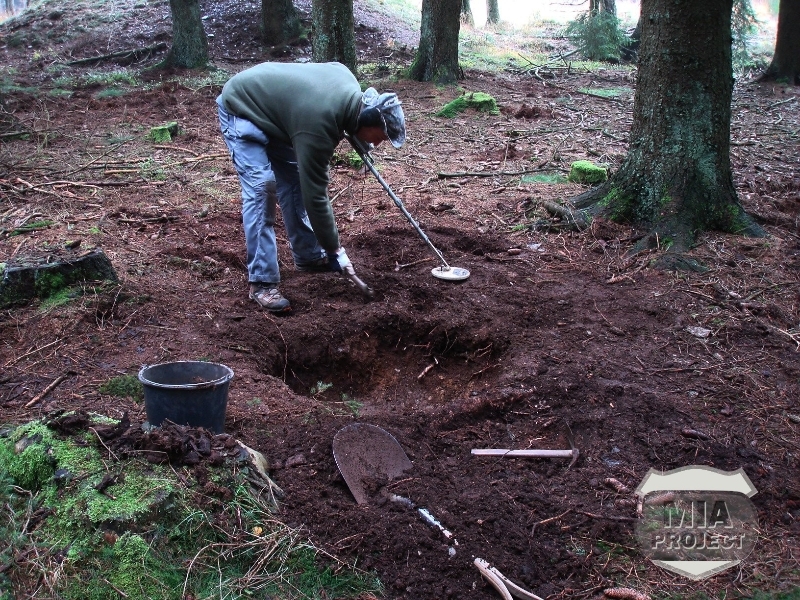 He decided to come back the next day and expand his search with the skull-discovery location at the center. 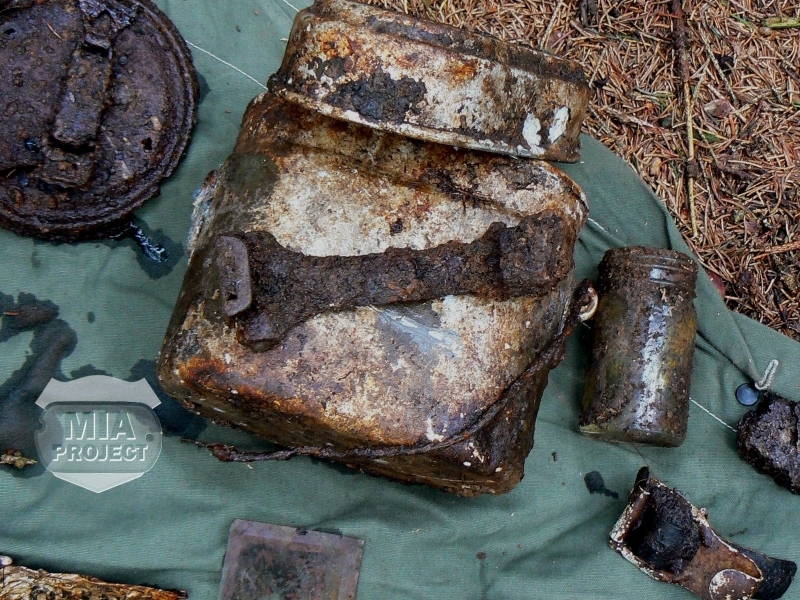 That day, September 09, 2008, his detector picked up a large target near a shell crater. 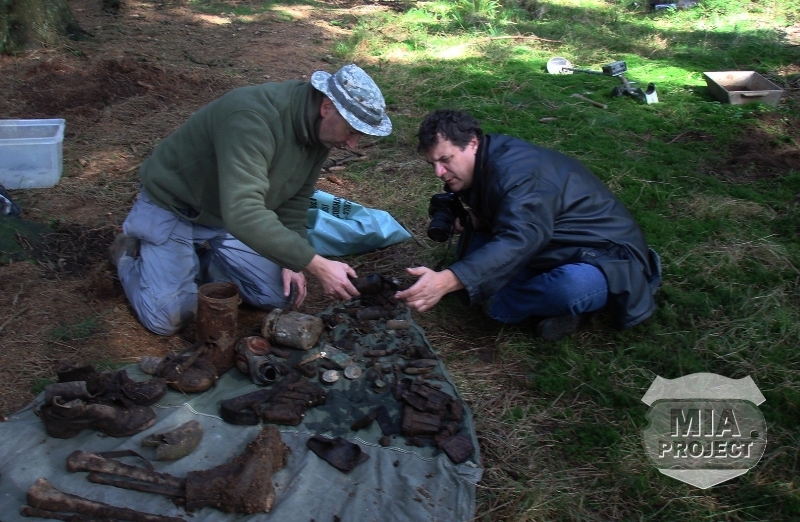 As he unearthed a German gasmask container, he caught sight of a moss-covered bone that looked like a human pelvis. 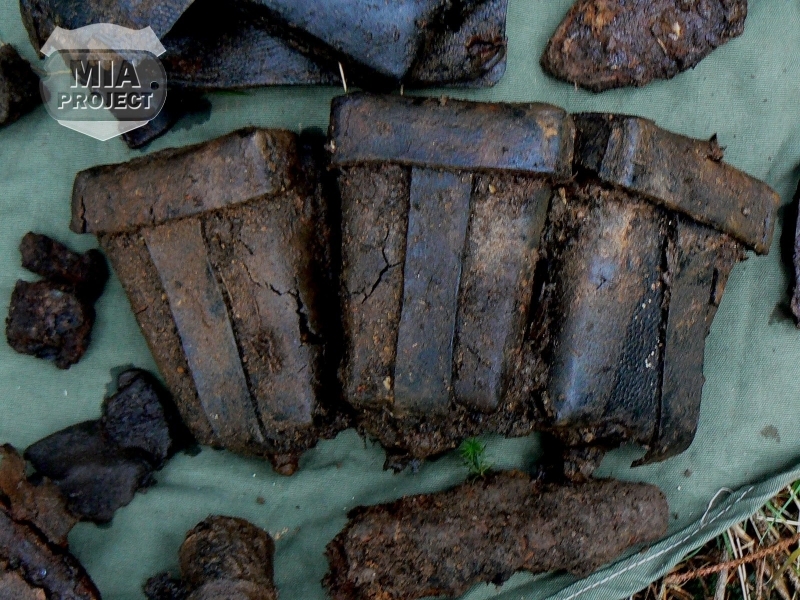 Along with the gasmask container, a leather belt and a hip bone surfaced. This was obviously the resting place of a dead soldier but not Ridgeway according to the field gear. 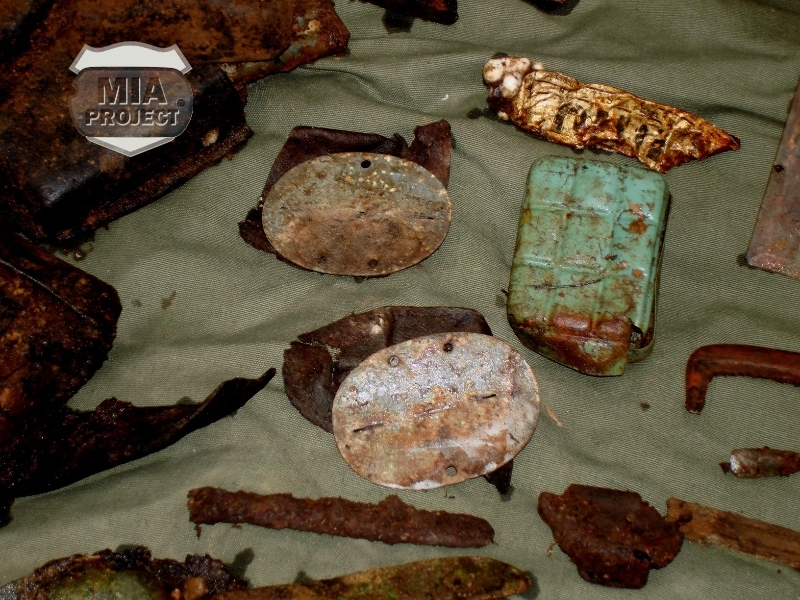 Seel located a mess kit, a canteen, combat shoes, cartridge belts, and personal belongings–all German. Duplicate bones also emerged. 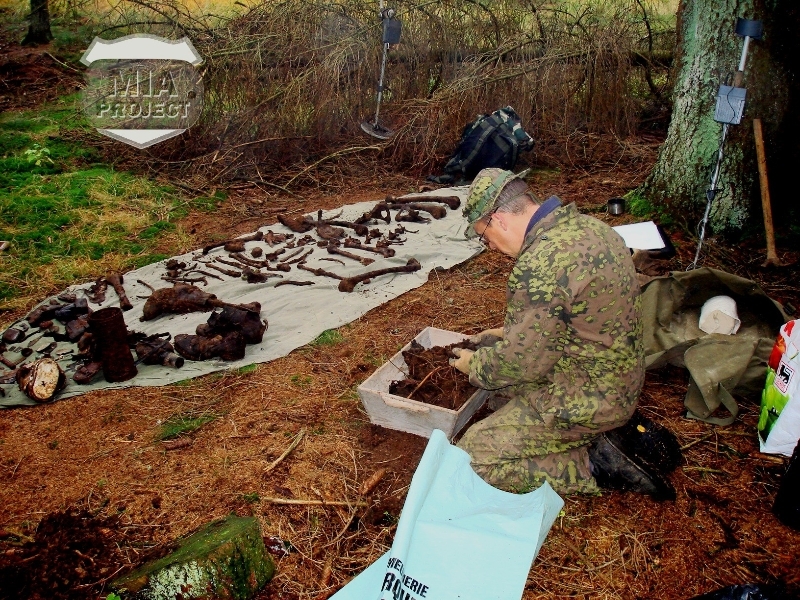 Seel had found the remains of two German soldiers. 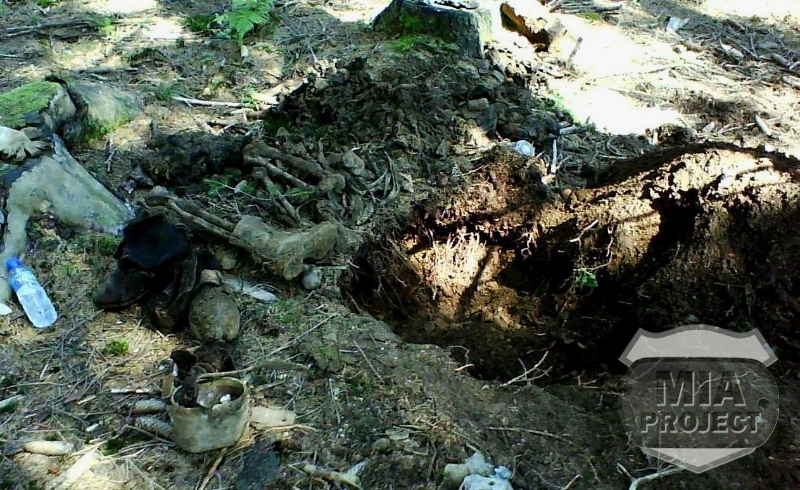 He reported his findings to the team, and a site-clearance operation developed. 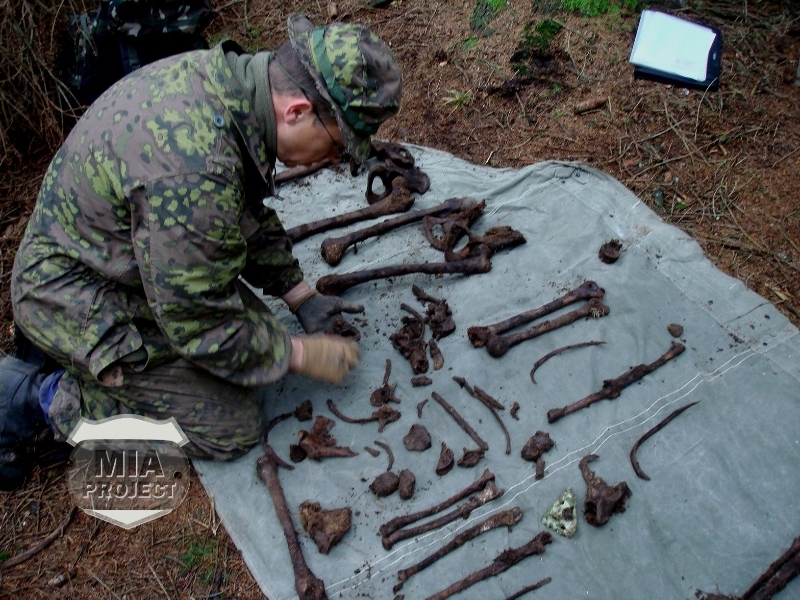 Ranger Hönen took custody of the remains. 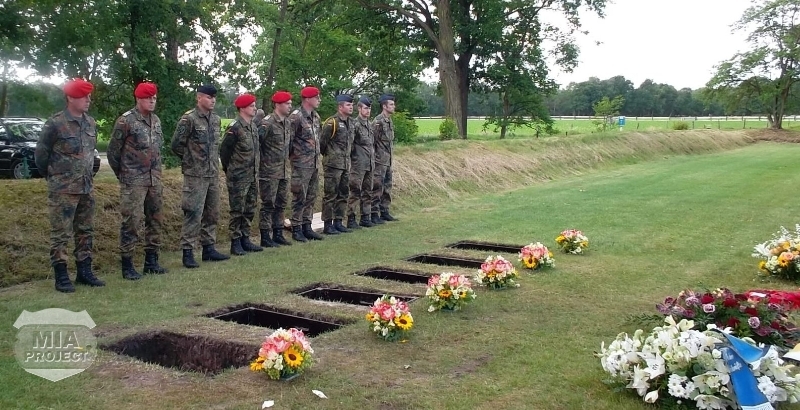 The place where Seel recovered the remains was part of a military training ground under control of the Belgian Army at Camp Elsenborn. The camp commander received word of the discovery, and plans coalesced for a fallen soldier ceremony to honor the unfortunate soldiers. 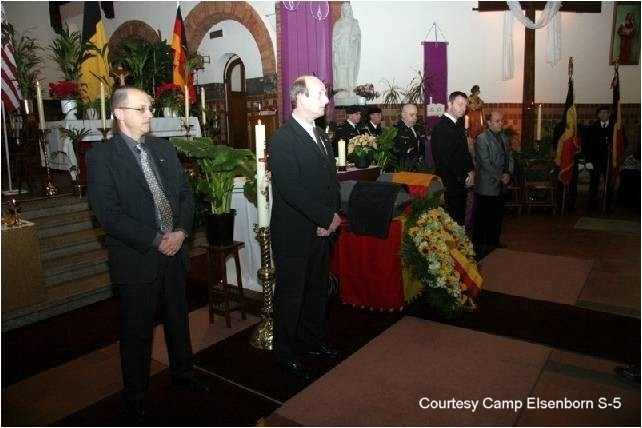 On December 16, 2008, there was a memorial service in the chapel at Camp Elsenborn. 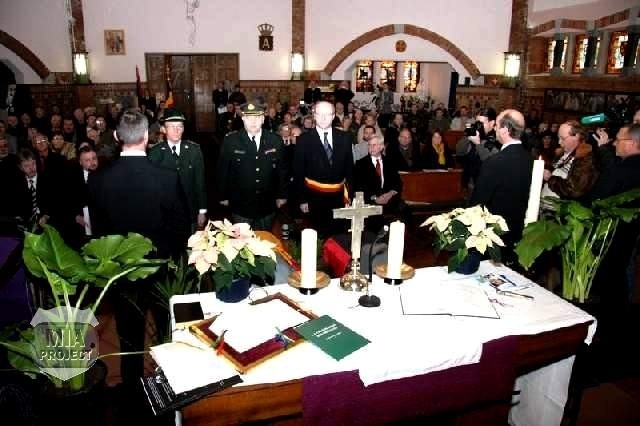 It was the sixty-fourth anniversary of the Battle of the Bulge. 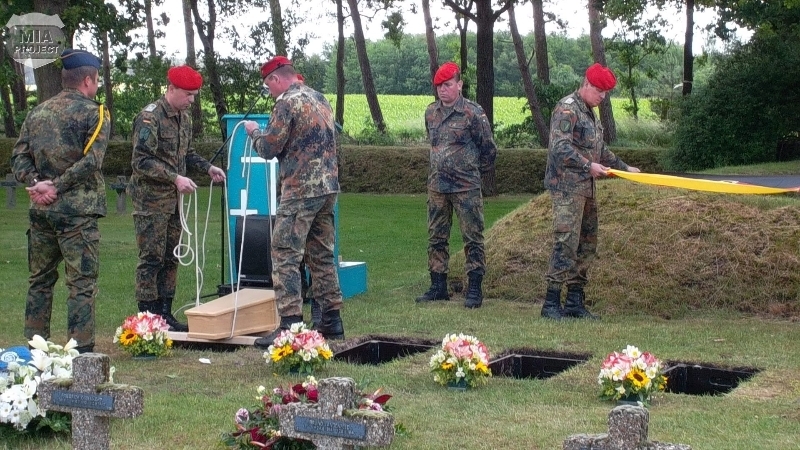 That meaningful date also marked the official transfer of the two casketed sets of remains to the German Army. 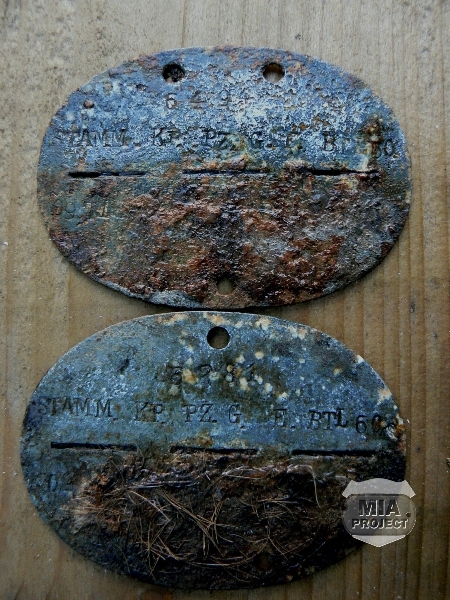 Both fallen soldiers had their dog tags, and positive identification was expected in the next few months, but months became years. 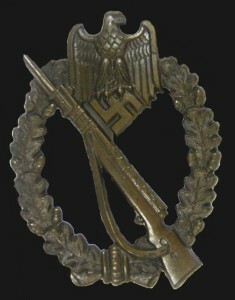 The German War Graves Commission easily identified the two grenadiers but had difficulty locating their next-of-kin. 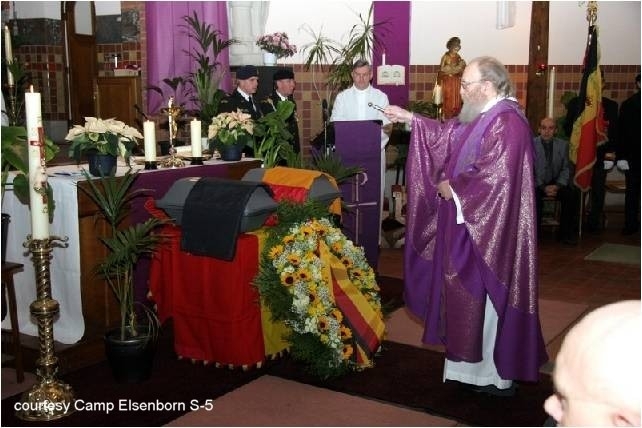 Finally, after four years, the German authorities released the names: Hubert Redecker and Wilhelm Schlömann. 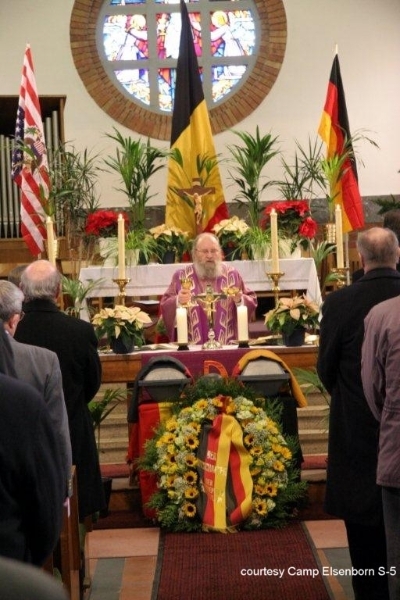 The burial ceremony would take place at the German War Cemetery near Lommel, Belgium. 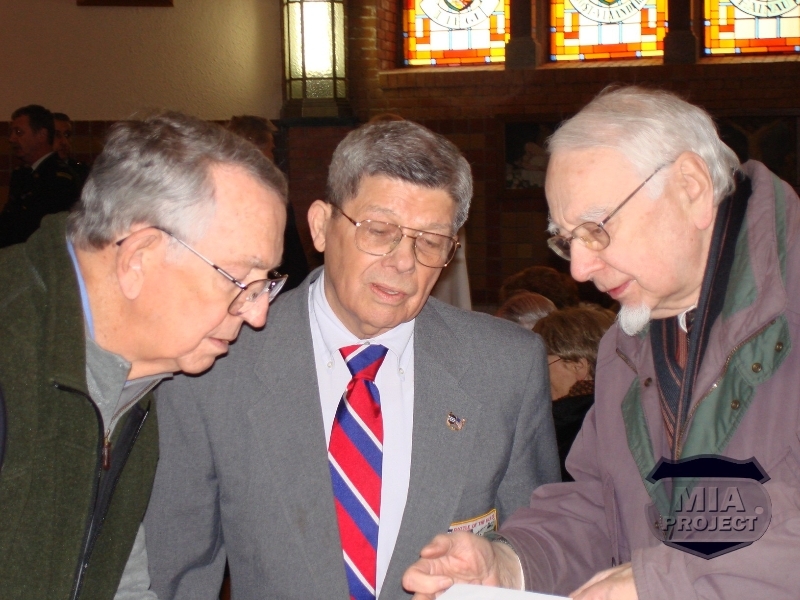 On June 8, 2012, MIA Project members JL Seel and JP Speder, accompanied by their spouses, attended a short and simple ceremony. 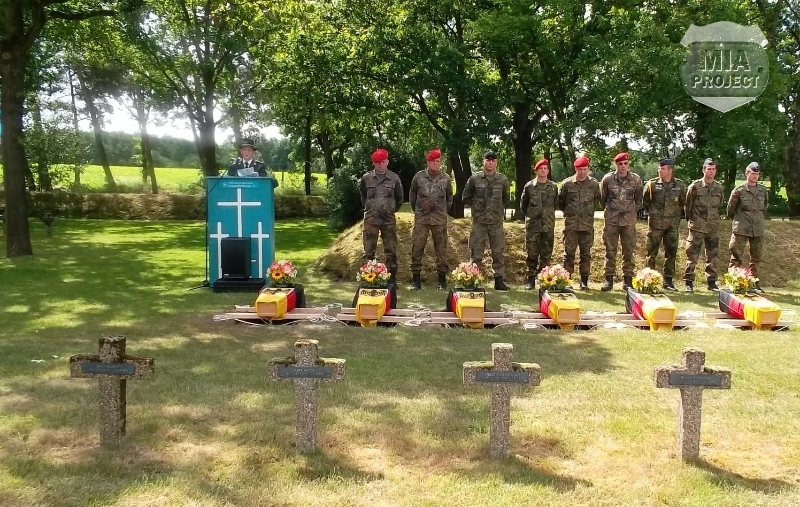 That day, the remains of six German soldiers were interred at the cemetery. 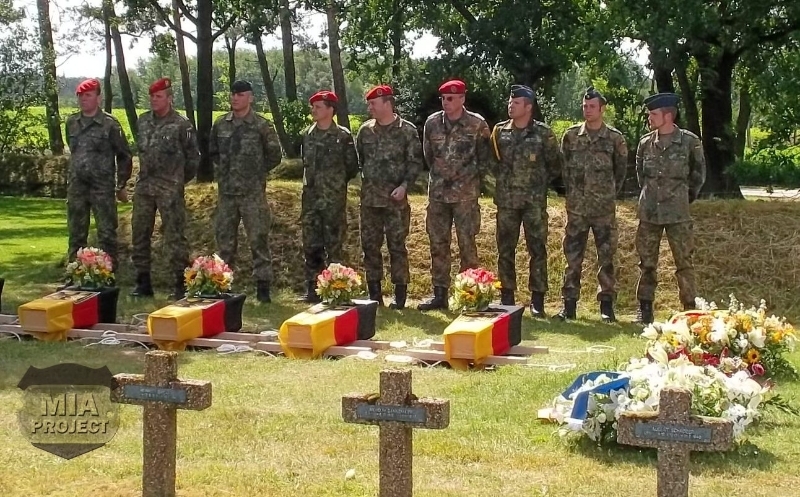 Only Redecker and Schlömann were identified, the remaining four were buried as unknowns. Sadly, no family members attended the funeral.